Website Backup Solution - What is it? Website backup Solution is an integral part of website security. Just like protecting websites from various security attacks like DDoS, Brute-Force, SQL Injection, Cross-Scripting etc., you should also prepare your website for carrying out proper website backup that helps you retrieve data even during the most unexpected times of security breaches. Website Backup Within Minutes Performing periodic Website backup using cWatch is quite easy. Doing so ensures your website gets recovered easily in case of zero-day attacks. Therefore prepare your website for the worst in the event of critical failures by performing regular website backup. Manual website backup are complex. And moreover you may forget to execute them. These issues are negated with cWatch as it offers automated website backup - which can be scheduled or customized as per your business requirements to run on a daily, weekly, monthly basis and at the specified times. With cWatch customers are assured of reliable and secure website backup. 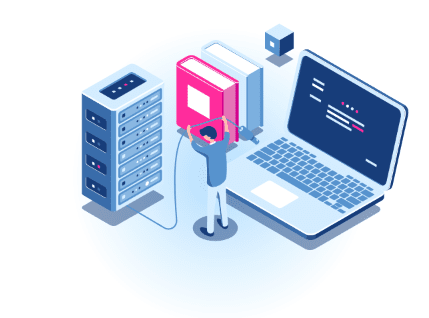 Our security team takes up full responsibility for securing your website backup using the best possible ways and by implementing the latest cutting-edge technologies. This means you'll be reverting back to a 'secure (and hack-proof) version' of your website in case it gets hacked. Cwatch's periodic website backup ensure all backup remain fresh. Which means only the latest changes to your website get stored. This makes the website roll back process easier and more accurate. Comodo cWatch is a full-fledged website security application that offers round-the-clock website protection. Equipped with security features like Security Information and Event Management (SIEM), Content Delivery Network (CDN), Advanced Firewall and dedicated Cyber Security Operation Center (CSOC) for customer assistance, we ensure your website remains highly available, remains hack-proof, and is optimized for faster website performance. And then there's regular website backup and free malware removal at your service. Malware Infected Website? No Worries. We Fix Websites For Free!